Solid State are a family run business providing a wide range of venue dressing and decoration services for all different types of events and special occasions. Solid State UK, have available chair covers for hire in Oakham, which come complete with a co-ordinating coloured organza sash ribbon. To save you from buying specific items for your wedding, simply hire them from us and return them once you are finished; it is a cheaper alternative and we can give you exactly what you are looking for! 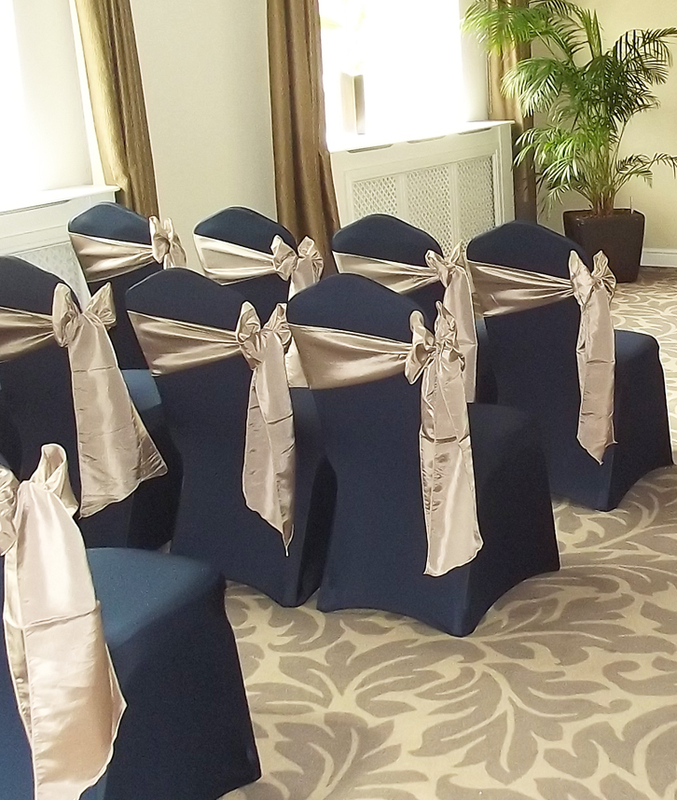 We can either provide one off services or we have available a wide range of packages including bronze, silver, gold and platinum, which covers a variety of different services, including our chair cover hire services. All of our packages are available with different payment options and are all tailored to suit your budget and requirements. 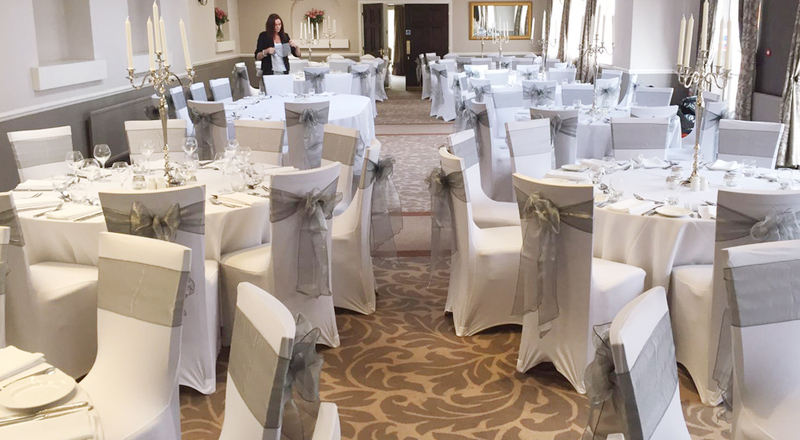 One of our most popular services that we provide is wedding chair covers in Oakham. They come complete with a coloured organza sash to co-ordinate with your chosen colour scheme and can instantly transform your room into a modern and appealing space. 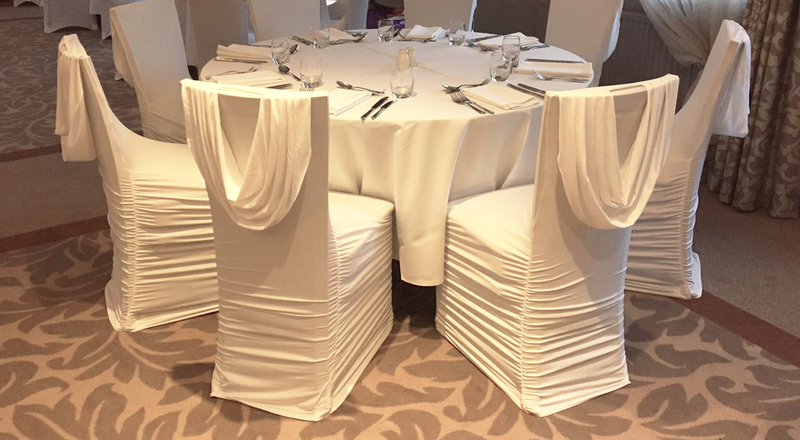 Chair covers are the ideal way of covering up different coloured and styles of chairs, instantly adding that ‘WOW’ factor for your wedding venue. All of our services are competitively priced and we even come to your chosen venue to offer a free consultation. For a free quotation, please contact us today where we will be happy to help you further!